Sometimes you are having a bad day or you are just in a bad mood for no particular reason. Maybe you did not sleep well at night or simply you are tired or over burn by the problems of daily life. The good news is that it’s up to you to change your mood through psychological tricks. Besides, who can argue that this day cannot come up as the best of your life? 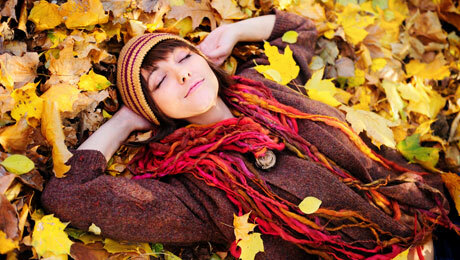 The following tips can help you overcome a bad mood and convert a bad morning to an amazing afternoon. Do not believe in preconceptions. In your hands is to change your luck, since no one can judge the future based on the past. Get rid of negative thoughts and approach life with a positive perspective. You can guide your luck; just take control of your life and find the courage to do things you always wanted. New experiences during the day can do wonders. Even the discovery of new flavors and different senses can relieve you from a bad mood. Talk to new people, read a novel that you have not read before or listen to music that makes you happy. You can also try meditation for 10 to 20 minutes a day, to fill your mind with peace and hope. Take a break from work and stand next to a bright window. Enjoy the rays of the sun and sip a cup of coffee to strengthen your body and fill power. Meanwhile, the sun will increase the level of vitamin D in the body, which increases your good mood. If you have time go for a quick walk and you will be surprised at how relieved you will feel. Remember some of the proud accomplishments you achieved the last five years. Maybe you got married, had children or got a promotion at work. Acknowledging your progress will automatically give you a sense of satisfaction and can help you encounter problems with more faith and will power. Remember that optimism is contagious, just like the misery! When you hang out with people that can fill you with hope, you can easily overcome any unpleasant incident of the day. On the other hand, if the people around you are pessimistic and in a state of continuous depression, it is more likely that will make you feel worse and destroy your hopes to change your mood. On average you visit the fridge about 10 times a day. A new research shows that the happiest people have placed on the fridge door photos of various family gatherings or get-togethers with friends that lead to happy memories. You just have to try it! Consider one obnoxious man and create a silly character in your head. Imagine you are in a story, an outrageous comic, and then comes the destruction! Immediately, you’ll notice that it has formed a smile on your lips. At the end imagine yourself as the protagonist and “embrace” what causes optimism in the story. Get your hands on a diary and describe any positive activity of the day. Maybe you had some good moments during the weekend or attended a nice event. You will soon realize that when you get used to this process, you will be anxious to write on your calendar your happy moments and this will make you feel good. Make a list of five to ten things that went (or can go) wrong today and read them aloud. Generally, when you listen to the problems that concern you … you can treat them more calmly and see how small they are in reality. Do not see everything as black or white because there are gray areas! Every time you catch yourself behaving in negativity, stop! To reduce stress, recognize the habits that give you stress and try to reduce them during the day. So, you will work effectively on this issue and will manage to eliminate stress, seeing life with more optimism. As a final thought, overcoming a bad mood is not that difficult provided that you really want to change your mood and enjoy the little pleasures of daily life.